So for the past several months, I’ve been using flax milk instead of coconut milk in my tea, cereal, and protein shakes. I’d grown tired of coconut milk, and am also wanting to lose an unwanted and “sudden” 20-pound weight gain. It really wasn’t sudden, I just hadn’t noticed it until none of my pants fit…grrrr. I’d read the flaxseed (also known as linseed) was a phenomenal source of Omega-3 fatty acids, protein, and fiber, and people boast of it’s anti-inflammatory properties. So I was ecstatic to try it out and actually not mind the flavor of flax milk! It’s gotta be good for my Endo, right? I repeat, *grumble grumble grumble*. The fiber of flaxseed is high in lignans, which may affect estrogen levels, although some believe plant estrogen may actually block estrogen in the body, rather than heighten the levels. Some people grind up flaxseeds and either consume them as a powder or sprinkle them into food and beverage. Others partake of flaxseed oil in liquid or capsule form. And others, like myself, enjoy them in ready-made products such as a milk-alternative to dairy. Everything I’ve read says to not eat raw or unripe flaxseeds (they may be poisonous). teens and women under 30. But, like all things in life, you discover the flip side. The Center for Endometriosis Care has an article promoting the dietary use of flaxseed for women with Endometriosis. 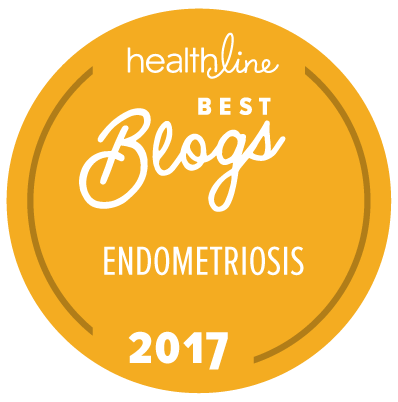 The Center for Young Women’s Health also promotes the use of flaxseed as a valued source of Omega-3 fatty acids when dealing with Endometriosis. Herb Wisdom says it can be beneficial for treating Endometriosis symptoms, but women with Endo should first consult with their physicians before starting it. The Green Parent encourages Endometriosis sufferers to grind flaxseed and sprinkle it on cereal. A 1997 study found that post-menopausal women who partook of a phytoestrogen-rich diet had fewer hot flashes and less complaints of vaginal dryness than the control group of the study. A 2008 study found flaxseed to be an excellent source of Omega-3 fatty acids, which helped the body to eliminate excess estrogen. It also referenced that the fiber found in flaxseed helped promote healthy bowel movements, which also eliminates excess estrogen. A 2009 study followed women who were taking flaxseed powder supplements. It concluded that there is a possible risk between diet and a risk of breast or hormone-dependent cancers. Hormone-dependent? Endometriosis is not a cancer, but is hormone-dependent. Flaxseed consumption has been found to benefit men who are being treated for prostate cancer or post-menopausal women seeking symptom relief. There are A LOT of studies of the benefits of consuming flaxseed, especially for it’s anti-inflammatory and Omega-3 fatty acid properties. There are also a lot of animal studies where flaxseed was given to critters prior their pregnancy, and uterine lining turned out to be a lot more fetus-friendly. But what I haven’t been able to find are studies directly correlating to Endometriosis and flaxseeds. And that’s frustrating. It appears flax does alter some hormone levels. That alone encourages me (me, myself, and I) to cut it out of my supplements and diet because I am taking low-dose birth control pills specifically to maintain low-level hormones within my body. Why would I tamper with that? But that may not be your decision…and that’s okay. Today I’ve written the people at Good Karma who make the flax milk that I’d been drinking. I read on their page that they use cold-pressed flax oil, but it doesn’t state whether it is filtered or not I’ve popped the question…And they wrote me back!!! You can read their response here. I’ve read that some flaxseed oil does not contain any lignans since the ground flaxseed husks and fibers (which contain the lignans) are filtered out. But be careful! Not all flaxseed oils are filtered. Some pump up the amount of lignans in the oil. And some companies that filter their oil then reintroduce ground flaxseed back into the product to improve the taste and supposed benefits, but still call it filtered. Many healthy lifestyle webpages encourage you to purchase cold-pressed oil, as opposed to hot processed oils to preserve the beneficial properties. Do your own research and read the labels. But back to you. What are you going to do? It really is going to boil down to YOUR personal choice. Do your research. Talk to your physician. Follow your gut-instinct and listen to your body. Still want some great Omega-3 fatty acids, but want to stray from flaxseed? Try fish oil (oh man, do those pills reek…and make you burp reeky fish taste) or krill oil (krill are plankton and these don’t make me burp). I’m presently taking a krill and fish oil combo…stinky, but no burpies. The Budwig Diet & Protocol – (Article) Linseed Oil: To Filter or Not to Filter? The World’s Healthiest Foods – (Blog) What Are Your Recommendations About Flaxseed Oil? University Health News Daily – (Article; June 2016) Should You Be Concerned About Flaxseed? So, we’ve all heard that a glass of wine can be good for you. Healthy, actually. Then we’ve all heard that it can be harmful. Throw in the mix that some of us suffer from Endometriosis…and that many women try to cut alcohol out of their lifestyle to prevent flare-ups and symptoms. Alcohol is not only harmful to our bodies and livers, but contains a lot of sugar, as well as wreaks havoc on our system. But I like me some vino! But, if you’re like me and you don’t want to cut it out, what can you do? What further harm are you causing? I like drinking wine, but how does it effect Endometriosis? Is it harmful? Helpful? What’s the difference between red and white wine? Seeing as I enjoy a glass of red or white (or two) with dinner or before bed, I got curious…as did a gal in our Endo Support Group. So, the research begins! The American Heart Association recommends that if you must drink alcohol, women should limit themselves to one glass a day…that’s a 5-ounce glass of wine . Moderation, people (yeah, yeah, practice what I preach). Wine snobs will tell you that red wine boasts more minerals and antioxidants than white. A 5-ounce glass of red wine has 0.9g of sugar (compared to 1.4g in white wine), as well as more iron, magnesium, phosphorus, potassium, choline, lutein, and zeaxanthin than white wine. And whenever you hear about a study of the health benefits of wine, it’s regarding red wine; not white. Prevention Magazine put out a fantastic graphic that shows the differences. Let’s pretend that we’re not swayed from the phtyoestrogens, and we’ll continue drinking. Wine is rich in flavonoids, which have antioxidant and anti-inflammatory properties. Okay, that’s a bonus. Most wine is also preserved by using sulphites (as is most of our food products)…which many women say increases their Endometriosis pain and flare-ups. That’s not good. Wine has resveratrol, a phytoestrogen from the skin of the grapes, that has anti-inflammatory and antiangiogenic (inhibits the growth of new blood cells) properties. It may also act as a natural aromatase inhibitor. Aromatase is one of the body’s ways of producing estrogen, and if these levels are lowered, it may help with Endo growth and symptoms. Could be good. (Curious? Read the “SCIENCE” section below). Let’s talk more about resveratrol. It’s found in red-skinned fruit, like red grapes or cranberries. It’s also in blueberries, pistachios, and peanuts. Red wine has more in it than white wine. Resveratrol has been found to reduce inflammation and lessen Endo lesions, as well as adhesions…but nobody knows the exact dosage people should take to experience benefits. On average, red wine can contain approximately 12.60 mg of resveratrol per liter. Some authors suggest you’d need to drink 3-40 liters of wine per day to reap those benefits. Let’s put this in terms I understand : a typical bottle of wine is 750 ml. There are approximately 148 ml in 5 ounces, which is the recommended size of a glass of wine. If I had to drink 3 liters of wine per day to get the supposed health benefits of resveratrol, doing the math (thank you Google!) that’s about 20 glasses of wine…per day. Yeah, no. Okay, scratching resveratrol off as a selling-point purely for drinking red wine. I tried. I really did…BUT…do scroll down and read about the studies between resveratrol and Endometriosis, it was fascinating! The only study I was able to find that studied the effects of resveratrol on humans was published in 2012. It’s goal was to see if resveratrol was an effective aromatase inhibitor…patients had been surgically diagnosed with Endometriosis, and all were on oral contraceptives. They were prescribed their usual birth control pill, but were also given 30 mg of resveratrol per day. At the end of two months, many women stated they had “a significant reduction” in their pain, some had a complete resolution of pain. The authors of the study feel that the use of oral contraceptives and natural aromatase inhibitors may be an effective treatment of Endo pain. Of course, further studies are needed, as well as clinical trials. Three separate studies in 2013 found that mice which were surgically implanted with Endometriosis, then treated with resveratrol, had less Endometriosis lesions and growth than mice that were not treated. These results may be because of the anti-inflammatory and antiangiogenic properties. These studies each stressed that animal models may react differently than human models and further studies are required; however, it may prove to be a “promising candidate” and “will assist the development of novel natural treatments” for Endometriosis. Dosage amounts also need to be further studied. Another 2013 study found that resveratrol may make Endometriomas better because of its inflammation suppression. Two similar studies were conducted in 2014 and also found a reduction in the amount and size of Endometriosis lesions. These studies state that further studies are required, especially to determine appropriate dosing. A 2014 study focused on resveratrol and adhesion prevention. It found that rats that were given resveratrol both before and after abdominal surgery had fewer adhesions present than rats that were not given anything prior or post-op. It suggests that resveratrol might be a pre- and post-op strategy in the prevention of development post-operative adhesions. In 2015, another study was conducted on rats implanted with Endometriosis, this time comparing resveratrol to three control groups : one group was given Leuprolide Acetate (Lupron Depot), a second group was given resveratrol AND Leuprolide Acetate, and the third group was given just resveratrol. It found that the rats that were given resveratrol and the rats that were given Leurpolide Acetate both had a reduction in lesions; however, the group that was given the combination of both showed a reduction in anti-inflammatory and antigiogenic properties. It cautions the use of resveratrol with other medications as it may lower efficacy. A 2015 study suggests that women with Endometriosis may want to consider resveratrol in their diet, as well as Omega 3s, n-acetylcysteine supplements (which may reduce endometriomas), Vitamin D, fruits, veggies, and organic whole grains. A 2016 study about angiogenesis and Endometriosis states, “currently, it is not a question whether angiogenesis is involved, but how it is involved. So far, the knowledge of how endometriotic lesions acquire angiogenic ability remains unknown.” If resveratrol can prevent Endo from forming or growing, holy hell, that’s awesome. Let’s hope research continues. After reading about all of this, I’d like to reaffirm my desire to refrain from hard liquor, cut back on my beer intake, and just settle on a glass of red wine. Yes, just ONE glass. And white wine? Seeing as it doesn’t appear to have too much resveratrol, I should hurry up and finish the bottle in the fridge so I can buy more red wine… 😉 Or not. Depends on my tastes for the day and what I’m eating for dinner, I suppose. Also, prior to today I’d never heard of resveratrol, nor it’s properties. So, I’d like to thank the curious minds for pointing me in a direction I’d never heard of. Here’s to hoping that science and medicine can further research the benefits and risks of resveratrol usage, as well as appropriate dosage, so women with Endometriosis may one day consider taking it as an alternative treatment. If you’d like to talk to your doctor about resveratrol, please do so. But don’t run out and start anything without first consulting with your physician. We still don’t know the side effects of long-term use or drug interactions. An article put out by Harvard states that high doses of resveratrol have been shown to increase estrogen, but others have shown it reduces estrogen. It’s still a large unknown…Harvard’s article suggests that if you do want to partake of resveratrol, get it from your food and wine, not from supplements. A subsequent Harvard article two years later stated resveratrol in your usual diet didn’t do much difference as far as health benefits go. It quotes Dr. David Sinclair as saying, “You would need to drink a hundred to a thousand glasses of red wine to equal the doses that improve health in mice.” Granted, this article is leaning more toward overall health, and not Endometriosis. It does discuss how best to purchase supplements, though, if you were interested. Most recently, a 2017 study published in Biomedicine & Pharmacotherapy found that although resveratrol may reduce inflammation and protect against lesions, further studies are required to determine safety and effectiveness of long-term use. I think I’ll still enjoy partaking of minuscule amounts of resveratrol in my red wine, berries, and pistachios. No need to run out and buy supplements, or praise an unproven miracle…but, I will keep an eye out for ongoing studies of resveratrol and Endometriosis. It’s an interesting development. Will I stop drinking alcohol? No. Fewer things are more relaxing than a glass of wine after work or an ice cold beer on a hot summer day. But I will think twice before indulging in a second or third glass now knowing that it may increase my estrogen production. 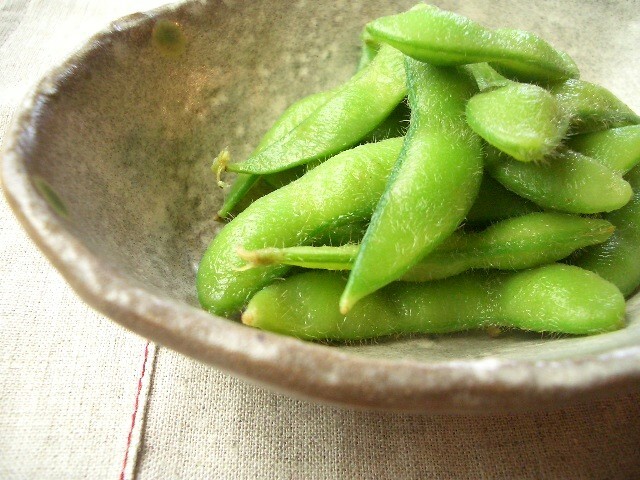 Sneaky, sneaky phytoestrogens. Is wine more helpful than harmful for my Endometriosis? It’s likely more harmful with the sugar and phytoestrogens. The cons outweigh the benefits, but seeing as I don’t have flare-ups after moderate use, I don’t want to stop. Excessive use? Oh yeah, that’ll be nipped in the bud. What are your thoughts? And cheers! 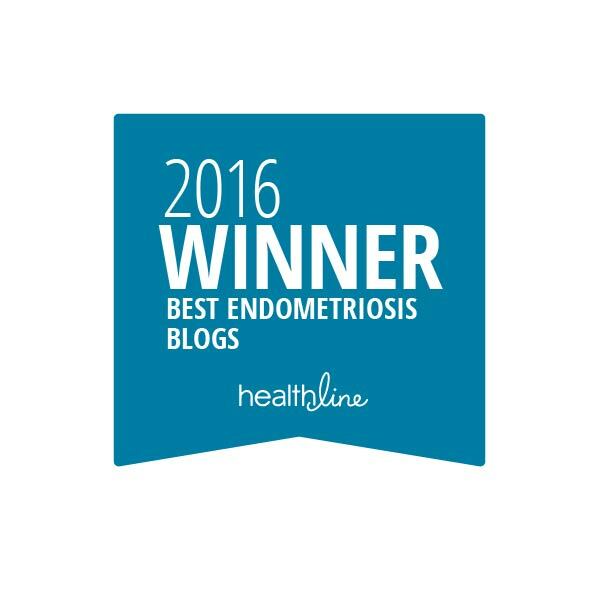 EHealth Forum – Are you Making Your Endometriosis Worse, Every Day, Without Even Realising It? Live Strong – How Much Red Wine Do You Need to Drink for Health Benefits? Live Strong – How Much Red Wine Do You Need to Get Enough Resveratrol? Vital Health Institute – What does Aromatase have to do with My Endometriosis?